The Totonac Huehues dance vs. the Mexican national school system. Set in Huehuetla, Puebla, a Totonac Indian community in East Central Mexico, The Tree of Knowledge contrasts two systems of education. The public school system uses patriotic symbols to &quot;integrate&quot; Indian pupils into the national culture while teaching them to reject their own identity. 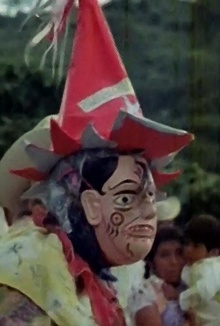 In contrast, the Danza de los Huehues urges young Totonacs to learn from the mestizos (&quot;whites&quot;), yet warns them not to abandon their own culture.